Report reveals radical group outlawed for tight financial ties with Hamas and Muslim Brotherhood to fund Temple Mount terror. The Islamic Movement in Israel was outlawed on Tuesday, and the legal and security opinions cited in the decision reveal just how large the financial scope of the pro-terror organization extends - and who its backers are. The radical group receives between 50 to 60 million shekels ($12.8-15.4 million) annually from the Muslim Brotherhood and its Gazan offshoot Hamas, reports Channel 10 on Wednesday night. Most of the massive funds are meant for the illegal activities that the Islamic Movement organizes on the Temple Mount, the holiest site in Judaism. There it has paid Arab rioters to harass Jewish visitors and regularly attack police with rocks and fireworks. The tight financial ties between Islamic Movement, Hamas and the Muslim Brotherhood provided the legal basis to outlaw the group, according to the report. Ironically the disclosure about Islamic Movement's source of funding comes a day after Hevron activist Baruch Marzel argued that as long as massive foreign funds are allowed to continue streaming into the group, the outlawing is nothing more than a slap on the wrist. Retired Deputy Police Commissioner Alik Ron, who headed the Israel Police's Northern District, told Arutz Sheva Wednesday that Israel took the "easy way out" by banning the group, and instead needs to track down all the organization's funders and inciters and jail them. Meanwhile research released Tuesday revealed 57% of Arab citizens of Israel say they feel the Islamic Movement represents them. A full 42.2% of the Arab population including all its ethnic and religious groups define themselves as supporters, members or activists of the Islamic Movement. The same research showed that no less than 18.2% of Arab Muslim citizens of Israel, and 28.1% of all supporters of the Islamic Movement, said they do not consider Islamic State (ISIS) to be a radical terrorist organization, and that they are not ashamed of the brutal jihadist group. 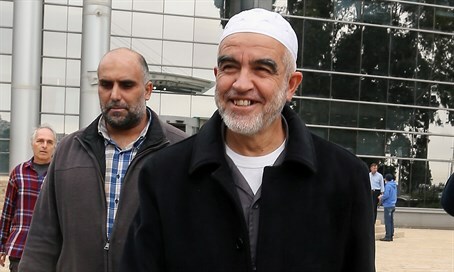 Echoing the support for the Islamic Movement by Arab citizens, the Arab Joint List threatened "consequences" on Wednesday, warning of strikes and protests.